See all 2,483 properties in Sky Harbor Intl. 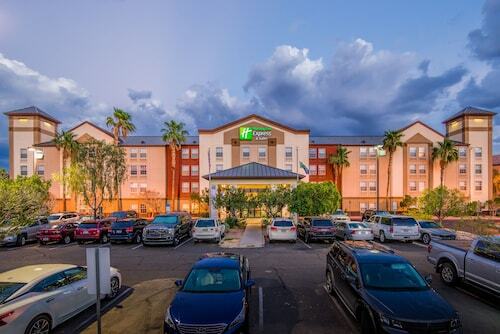 Located in Downtown Phoenix, this hotel is 0.4 mi (0.6 km) from Celebrity Theater and within 6 mi (10 km) of Phoenix Convention Center and Chase Field. Talking Stick Resort Arena and Phoenix Zoo are also within 6 mi (10 km). 24th Street - Washington Station is 20 minutes by foot and 38th Street - Washington Station is 21 minutes. Located in South Mountain, this hotel is 3.1 mi (5 km) from Diablo Stadium and within 6 mi (10 km) of Arizona State University and Chase Field. Arizona Mills Mall and Talking Stick Resort Arena are also within 6 mi (10 km). 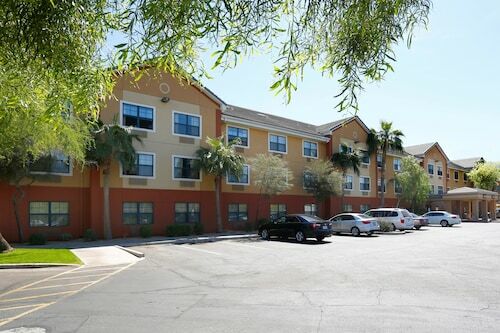 Located 1 mile from Phoenix Sky Harbor International Airport, this hotel is within 5 miles of the convention center and Arizona State University, and within 7 miles of Chase Field. Located in South Mountain, this hotel is within 6 mi (10 km) of Pueblo Grande Museum and Archaeological Park, Arizona State University, and Phoenix Zoo. Arizona Mills Mall and Diablo Stadium are also within 6 mi (10 km). Located in Downtown Phoenix, this hotel is within 1 mi (2 km) of Pueblo Grande Museum and Archaeological Park and Celebrity Theater. Phoenix Zoo is 2.9 mi (4.6 km) away. 38th Street - Washington Station is 6 minutes by foot and 44th Street - Washington Station is 13 minutes. Located in Downtown Phoenix, this hotel is within 3 mi (5 km) of Celebrity Theater, Phoenix Convention Center, and Chase Field. Children's Museum of Phoenix and Arizona Science Center are also within 3 mi (5 km). 24th Street - Washington Station is 17 minutes by foot and 24th Street - Jefferson Station is 17 minutes. Located in Downtown Phoenix, this hotel is 2.9 mi (4.7 km) from Roosevelt Row and within 6 mi (10 km) of Chase Field and Talking Stick Resort Arena. Phoenix Convention Center and Celebrity Theater are also within 6 mi (10 km).